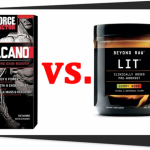 EVL ENGN vs. Force Factor VolcaNO presents a face off between two pre-workout supplements for people who want to fuel their workouts and boost their muscle pumps. 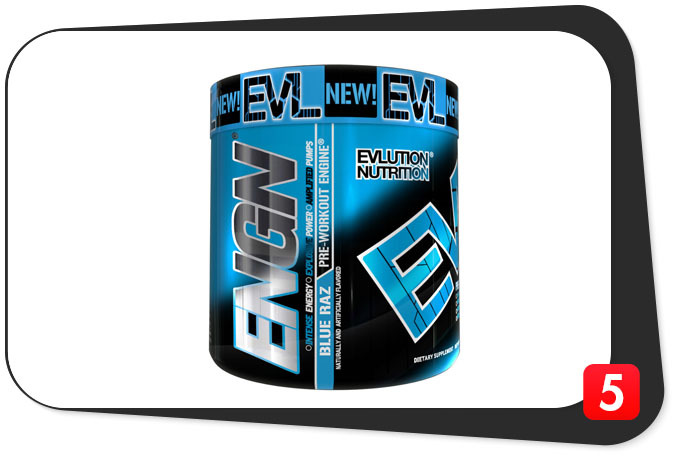 EVL ENGN is a pre-workout powder for increased energy, power, and focus. Force Factor VolcaNO is smartly-formulated NO booster which improves your physical performance. Is one better than the other? Let’s find out in this review. Both EVL ENGN and Force Factor VolcaNO are premium supplements which aim to improve your muscle pumps and physical energy. How are EVL ENGN and Force Factor VolcaNO formulas similar? EVL ENGN and Force Factor VolcaNO both contain the same form of Vitamin B6 (pyridoxine hydrochloride). However, EVL ENGN offers a higher dosage of Vitamin B6 (two milligrams). Both EVL ENGN and Force Factor VolcaNO contain proprietary blends – the manufacturers hid most of the ingredient dosages (which is unfortunate). They only divulged the amount of the total blend on the supplement facts. 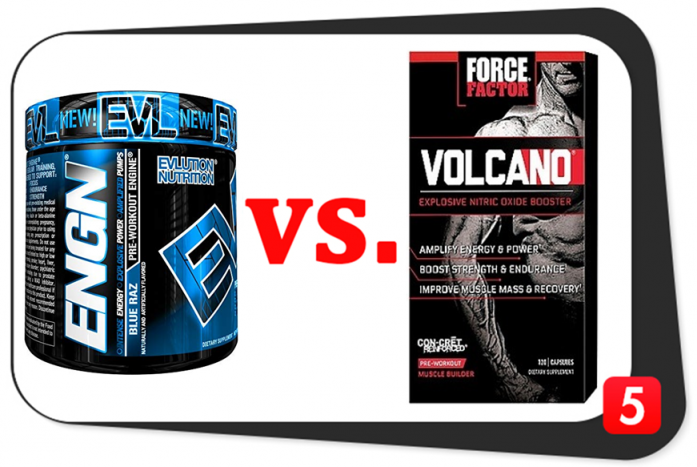 How are EVL ENGN and Force Factor VolcaNO formulas different? Both formulas supply agmatine sulfate of unknown quanitity. However, EVL ENGN offers a branded form (AGmass™), which is better. In addition, EVL ENGN offers two forms of creatine (creatine monohydrate and magnesium creatine chelate) with a total dosage of 2,000 milligrams for maximum potency. On the other hand, Force Factor VolcaNO also offers a branded form of creatine (CON-CRET®). However, it comes in just one form (creatine hydrochloride) and of unknown quantity. In terms of the common ingredients of EVL ENGN and Force Factor VolcaNO, it is evident the former offers the better forms and dosages. EVL ENGN contains more ingredients than Force Factor VolcaNO. These ingredients are fairly potent, too. Both formulas hid the dosages of some of their ingredients in shady proprietary blends. This makes it difficult to determine which formula provides the more potent dosage. However, we know that the ingredient combination of EVL ENGN provides a synergistic effect. 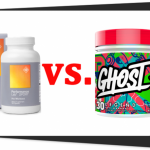 Since both of these pre-workouts have proprietary blends, you have to trust they will provide you with enough dosages to get you through your workouts. The nutrient combination of EVL ENGN provides more benefits for your body and mind. On the other hand, EVL ENGN contains three nootropic ingredients such as alpha-GPC, huperzine-A, and l-tyrosine. In addition, these ingredients double as effective pre-workout ingredients, too. On the other hand, the ingredients of Force Factor VolcaNO focus on the enhancement of your physical abilities and muscle pumps. Don’t expect additional health benefits from this supplement. EVL ENGN contains the better formula because of its beneficial ingredient combination with a synergistic effect. In addition, it also gives you nootropic benefits. 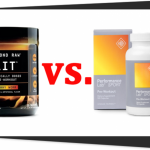 If you are looking for a formula which benefits your muscles, both of these products can do the job. However, if you want more benefits from a premium pre-workout supplement, EVL ENGN is more up to the task. Clean Label No. Other ingredients include: Malic Acid, Natural & Artificial Flavor, Tartaric Acid, Sucralose, Silica, Acesulfame Potassium, FD&C Red #40 No. Other ingredients include: Gelatin, Silica, Microcrystalline Cellulose, Magnesium Stearate, Titanium Dioxide, FD&C Red #40 and FD&C Blue #1. Advanced Delivery No. Plain flavored powder. No. Plain gelatin capsule. EVL ENGN contains more high-quality ingredients than Force Factor VolcaNO. Both formulas don’t really have clean labels since they both have synthetic fillers, artificial food dyes. The primary difference of EVL ENGN and Force Factor VolcaNO is the supplement form: the former comes in powder form while Force Factor VolcaNO comes in a gelatin capsule. This is a potential factor in terms of supplement absorption. On the other hand, Force Factor VolcaNO is a stim-free pre-workout supplement. For its part, EVL ENGN contains two forms of caffeine (caffeine anhydrous and Infinergy™ DiCaffeine Malate). Overall, EVL ENGN is the supplement of higher quality. These prices are from GNC in 2018. 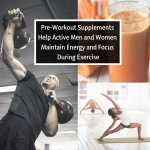 However, if you want to shop around for a better deal elsewhere and save a few dollars, you can also buy these pre-workout supplements from other websites such as Bodybuilding.com and Amazon (which may or may not have better prices). Also, look out for flash sales in these online stores – they might offer you great deals. EVL ENGN is slightly more expensive than Force Factor VolcaNO. The probable reason: its premium and branded ingredient forms. In addition, EVL ENGN contains more ingredients than Force Factor VolcaNO . The cheaper supplement, Force Factor VolcaNO produces health benefits. However, it does not have nootropic benefits, unlike EVL ENGN. Force Factor VolcaNO contains fewer ingredients and offers fewer health benefits, too. In terms of pricing, Force Factor VolcaNO is cheaper than EVL ENGN. However, Force Factor VolcaNO has several user reports of autoship scammery and refund difficulties. Therefore, Force Factor VolcaNO is worth the savings if you incur excessive charges for more products that you don’t want. EVL ENGN vs. Force Factor VolcaNO: Which is Better? EVL ENGN is a premium supplement which also comes with a premium price tag. Don’t worry: it is worth your money since it is a great formula which provides plenty of health benefits. EVL ENGN contains premium and highly-absorbable ingredients. You can also safely double the dosage to intensify its effects. EVL ENGN is more expensive than Force Factor VolcaNO. However, you don’t have to worry about scams with links to the Force Factor brand. Therefore, EVL ENGN is the better pre-workout supplement. Our take: it is superior to Force Factor VolcaNO when it comes to the formula, quality, and customer support.